Arriving at the Puerto Vallarta Airport is an exciting experience! The first time we went, everybody on the plane clapped and cheered when we touched down. Depending on your air carrier, you may be let off on the tarmac and bussed in as we were. 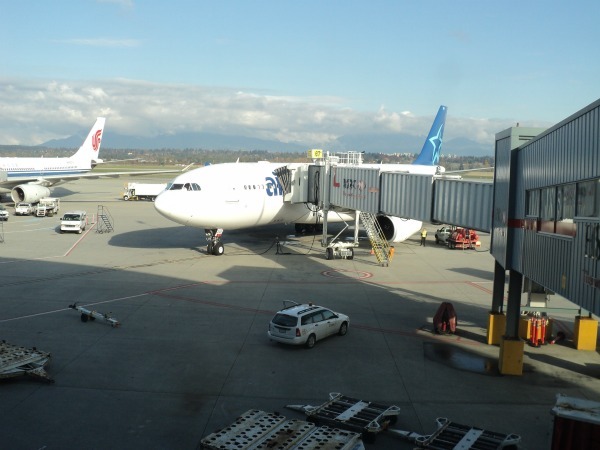 Our second time, we arrived directly at the airport terminal. Before you arrive at the airport, make sure that your visitors card is filled out because your first lineup is to process your card. While in Puerto Vallarta, do not lose your visitors card. I suggest locking it up in your room safe along with your passports at your hotel or resort. If you have luggage in the planes belly, you might have to wait quite a while for it to be unloaded. We waited about an hour before ours came through. If you only have carry on luggage then you can go right to the customs officer. After leaving the customs officer`s station, you will be directed to your left. Here is where the fun begins. Unless you want to spend the day participating in a time share meeting, do not talk to anyone and I do mean anyone! Do not even make eye contact until you walk through the sliding exit glass doors of the Puerto Vallarta Airport. Once you are outside, you can either book a taxi, rent a car or get on your tour operators bus. If you plan on taking a cab, I do recommend booking before you leave home, so you will know how much the fare is. I learned this lesson the hard way believe me. We did not book in advance and were charged fifty dollars US for a nine kilometer ride. Booking in advance would have saved us over twenty dollars. Lesson learned! It does not matter which air carrier you choose to fly with. You can find many inexpensive flights to the Puerto Vallarta Airport. The second time we flew down to Vallarta, we found some cheap plane tickets that connected in San Diego. Most of the plane was empty so we had lots of room and choices for seats. Departing from the Puerto Vallarta Airport is interesting as well. If you are checking in your luggage, be prepared to wait in a long line up, unless you arrive very early. They do not use an x-ray machine to check your luggage. Instead they go through your bags manually. Yes, I did say manually! If you just have carry on luggage it will go through an x-ray machine upstairs when you go through customs. If you are leaving on a direct flight back home you can purchase your duty free items after this point. Should you be on a connecting flight home, wait till your last departure airport to purchase any duty free items. Travel Safe! !